Farmers are working on ways to adapt to the changing conditions, such as experimenting with new crops and trying to find additional sources of income beyond crop farming, to build their resilience to worsening harvest losses. Farmers in central Mali, Sibougou to be precise, have been part of a programme by ICRISAT that prepares agriculture-based communities for changing climatic conditions. 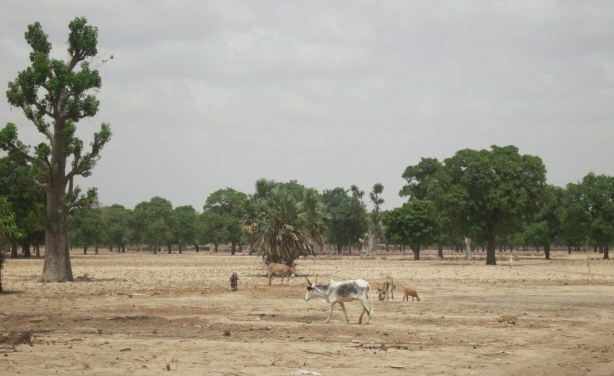 Dry landscape in Sibougou, central Mali.